This course is tailored to students with a love for art who have some previous artistic experience in drawing and painting. It’s especially ideal for those looking to pursue further studies in the arts and build a diverse portfolio. True to the foundations for creating successful artwork, Fine Arts Technique has a strong emphasis on the principles of design. Working with both traditional and non-traditional elements, through the use of various media, students will learn and apply important skills and techniques through various exploratory exercises and projects such as landscape painting, still life studies, portraiture, abstract art, and others. Fundamentals learned here, will be critical for each student as they move forward, striving to become better artists. Not only will students create, but they will also learn how to take a step back – examining and understanding how to improve upon and complete their final pieces. One of the most important aspects of this course, is to help and encourage students to unlock their creative spirit without any inhibition. This course is tailored to each student’s needs and interests, aiming to help learners reach new grounds for improvement. This course is crucial for students who are thinking of a future in fine art or illustration. Whether it be getting into an art high school or university program of their choice, our art instructor has a deep knowledge of the expectations and procedures for these application and interview processes. Tailored to students who have a sincere love for art, and who have some previous experience in drawing and painting – we’ll be exploring key principles of design, while continuing to develop and improve our skills through a variety of of projects. Examples include life drawing, landscape painting, still life studies, perspective, portraiture, as well as various improvised projects. 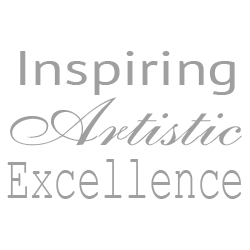 This course is designed to help budding artists refine their practice – providing an opportunity for learning how to navigate through the creative artistic process, along with the critical analysis involved when looking to art for inspiration. This course is made for children who love being creative and artistic. We will explore a variety of projects that will allow for our students to learn the fundamental techniques and terminology used in fine arts. Expanding on this, students will work on projects tailored to their unique interests and skills. Always encouraged to “think outside the box”, it’s never too early to learn how to express yourself through the techniques of fine art. Since our minds are in constant motion and in need of new adventures, each class will explore different projects with inspiration from famous artists and their works, as well as important artistic techniques. Students will be keeping quite busy and creatively stimulated throughout the year, using a variety of surfaces and mediums. Working with oil pastels, acrylic & watercolour paint, clay, plaster bandage, pen & ink, and others – many exciting projects await! This course is designed to introduce students to key fundamentals in painting such as colour theory, composition, perspective and tone. Painting techniques for three different mediums – acrylic, watercolour and gouache will be explored. Beginning with form rendering and gradients, students will undertake a variety of challenging, yet extremely enjoyable and rewarding painting assignments – each one producing a beautiful, finished piece of artwork. Other projects include: grey to colour, conveying mood, skies and clouds, texture, landscapes, collage, and creating a “master copy” based on a painting by your favourite artist. This course is made for children who love exploring with lots of different media to create beautiful works of art. Here, students have the opportunity to explore an array of different artistic mediums, prior to focusing on a specific medium, that they enjoy working with the most. Throughout the year, we look at a variety of different styles, constantly inspiring and encouraging students with new techniques and terminology introduced each lesson. Every week, students embark on creative adventures using mediums such as oil pastels, acrylic and watercolour paint, pen & ink, as well as sculpture using clay and plaster bandage. Such a diverse and inspiring art class, the creative possibilities with mixed media are truly endless – encouraging students to become the artists they wish to be! This class provides young budding artists with the opportunity to explore a variety of different mediums including drawing, painting, sculpture, collage, and more. Learners are encouraged to express themselves through their artwork, engaging in all sorts of fun and original projects. This course is made for kids who love exploring with different media and creating beautiful works of art. In this class our students explore a wide range of media! This course is made so that students are given the opportunity to explore the wide array of mediums before being given the opportunity to focusing on a medium they love and feel comfortable with. This class is all about the experimental process. We explore various styles through learning about a new technique or terminology each lesson. Though this class our students embark on creative adventures using the traditional mediums such as painting charcoal, pastel, and clay. We also explore various other artistic genres such as collage, design, composition and many more. The possibilities are endless for exploration and creativity! This class allows our students to become the artists they wish to be. Exploring human and animal form, How to Draw People and Animals focuses on developing each student’s personal drawing style – through the study and application of structure, proportion, and anatomy. Influenced by traditional animation techniques – based on those taught at Sheridan College, students will develop the skill, knowledge and drawing habits, to create a variety of different subjects from the animal kingdom, including: people, mammals, birds, reptiles, sea creatures, and even animals of fantasy, like dragons and unicorns! Examples of lessons include: drawing human heads and hands, learning the correct proportion for drawing horses and cats, and combining all knowledge into creating unique and believable creature designs. In addition to pencil and ink, mediums such as oil-based pencil crayons and watercolour will be introduced, helping students to transform their original drawings into beautiful vibrant works of art. Note: Students are encouraged to work in their sketchbook every week, and bring it to class for review. Inspired by famous movies, cartoons and comics – this course teaches students how to create unique, believable cartoon characters. With a strong focus on story, students will complete a variety of traditional animation-based assignments including: sketching, character development, 360 degree turnarounds, lineups, action poses, emotions and more. In addition to pencil and ink, other mediums such as oil-based pencil crayons and watercolour will be introduced – teaching students how to incorporate colour and light to further enhance their work. This will be especially helpful in projects such as the time period piece, famous artist stylization, and creating a short sequence for a comic strip or graphic novel. Whether creating characters for comics, games, storybooks, or simply just for fun – this course is designed to (and will) take your drawing skills to whole new level! This course introduces students to key fundamentals of perspective and design, through practical application. Influenced by principles of both illustration and animation, students will complete a variety of different projects, each class supplemented with essential tools and techniques for creating believable, three-dimensional drawings. Areas of study include: one, two and three-point perspective, bird’s and worm’s eye views, vehicle and object drawing, placing characters within environments, and drawing buildings and cities. For a final assignment, students will create a three-dimensional theme-based scene, that includes a character in setting, with multiple believable objects. In addition to pencil and ink, other mediums such as oil-based pencil crayons and watercolour will be introduced to convey realism using colour and light. A brand new class, here students will learn various skills and techniques for creating both characters, and environments, inspired by this traditional Japanese drawing style. Throughout the course, students will learn specific techniques and tips such as how to accurately draw faces, how to draw bodies in the correct proportion, how to convey expression and attitude, and how to create important features such as eyes, hairstyles and hands. Students will also learn how to design convincing layouts and backgrounds, helping them to create their own unique manga-inspired “spreads” – their characters drawn interacting with the world around them. In addition to pencil and ink, other mediums such as oil-based pencil crayons and watercolour will be introduced, aiding to convey a sense of realism using colour and light.